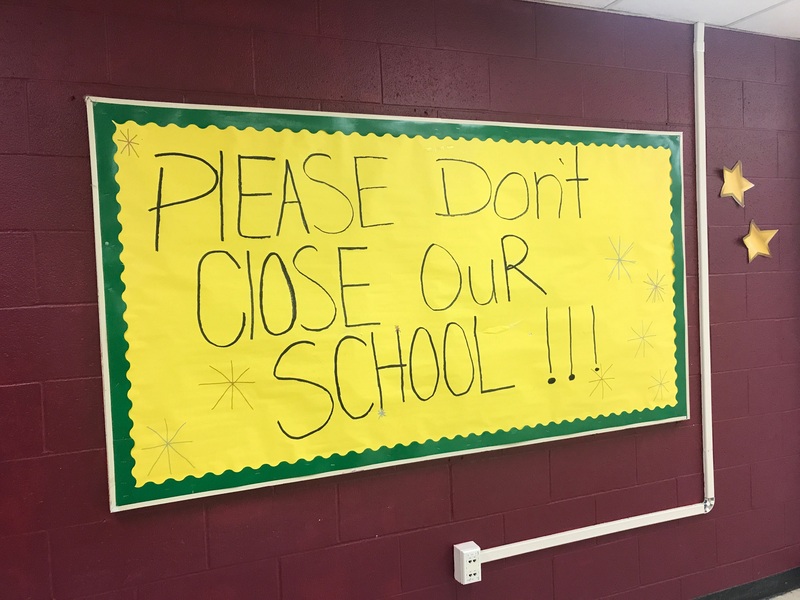 “Please don’t close our school” – said the sign that welcomed parents and teachers arriving to the family information night at Simpson-Waverly Elementary School in the North End of Hartford on Thursday evening. 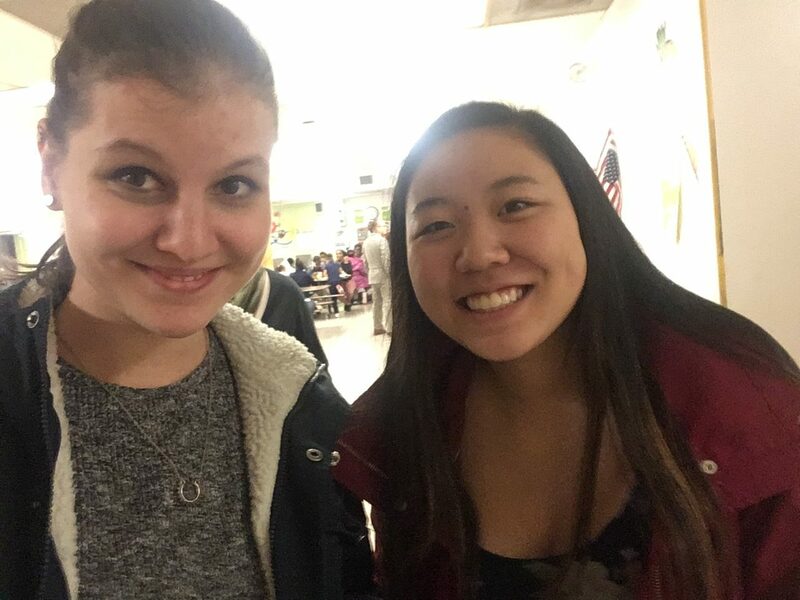 The corridors of the building were covered in posters about Black History Month, and arriving families were offered dinner in the school’s cafeteria. 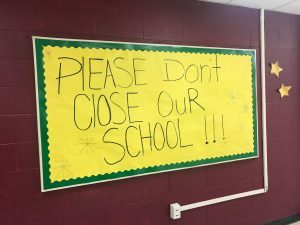 Simpson-Waverly will not open for the next school year: it is one of the first schools to be closed as part of a plan that reconfigures Hartford’s school system. 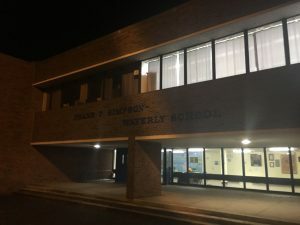 The controversial decision was made by the Hartford School Board in January, and it is argued that it will save $15 million a year. The information night was held to help families and teachers understand the transition process. “Families and parents, you know your children best. 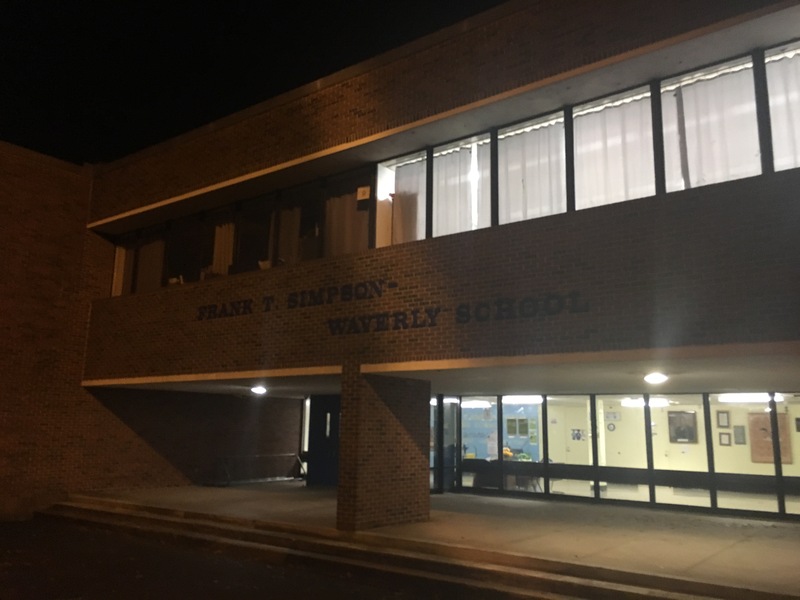 We want to support them in an individualized way to ensure a smooth transition and minimize disruption for students” – said Mr. Leo Watson, principal of Simpson-Waverly. Superintendent Torres-Rodriguez assured everyone that their priority is going to be making sure that “the kids are going to be OK”. K-2 students will be transferred to S.A.N.D. Elementary School, while children in grades 3-8 will attend Wish Museum School starting in September. The principals from these two schools came to talk to everyone about their schools and their roles in the transition process. “Our work comes from a foundation of love,” said S.A.N.D. Elementary School principal, Mr. Gerado Heredia. He continued with telling parents that he wishes to dig deeper into what their children need, and pushed the parents to rely on others throughout the process rather than be isolated. “With education, everything is possible” – started Ms. Kesha Ryan, the principal of the Wish Museum School, who also encouraged parents to get involved in the transition process, while acknowledging how hard this is for everyone involved. She closed her presentation saying that “every time we transition, our community gets better”. At the end of the presentations, parents were informed by the Choice Office that the new placements will be based on grade level: placements in S.A.N.D. and Wish are guaranteed, but families have the option of enrolling in the lottery and choosing other schools. However, if choosing out-of-zone schools, the transportation of the students will have to be solved by the parents, and placements in other schools cannot be ensured. A common concern expressed by families was whether siblings in different grades would be split up, and that children will not necessarily going to attend the school they live closest to. One of the mothers expressed how she feels forced into this process, and that she feels parents should be given a real choice. She argued that it is not fair that the students are required to stay within the zone. Teachers attending the meeting also expressed their concerns and fears for their students. One of them argued that parents should be given flexibility in their options, others said that it should be a priority to give families accurate information. Although the meeting’s purpose was to ease parents’ and teachers’ concerns regarding the transition to new schools, it seemed that by the end of the evening, their worries remained, despite the enthusiastic speeches of the principals.